Laparoscopic sleeve gastrectomy is usually performed using several trocars. We report a case of a single port sleeve gastrectomy in a 42 year-old, female morbidly obese with a BMI of 42 kg/m2. Through a 2-cm single transumbilical incision Triport® was inserted and roticulator instruments were used. To retrieve the specimen we partially used the device and then grasped out of the abdominal cavity. Next day an upper gastrointestinal contrast study was done without evidence of leaks or stenoses. A full liquid diet was started and after 2 weeks following surgery the patient had lost 23 lbs. 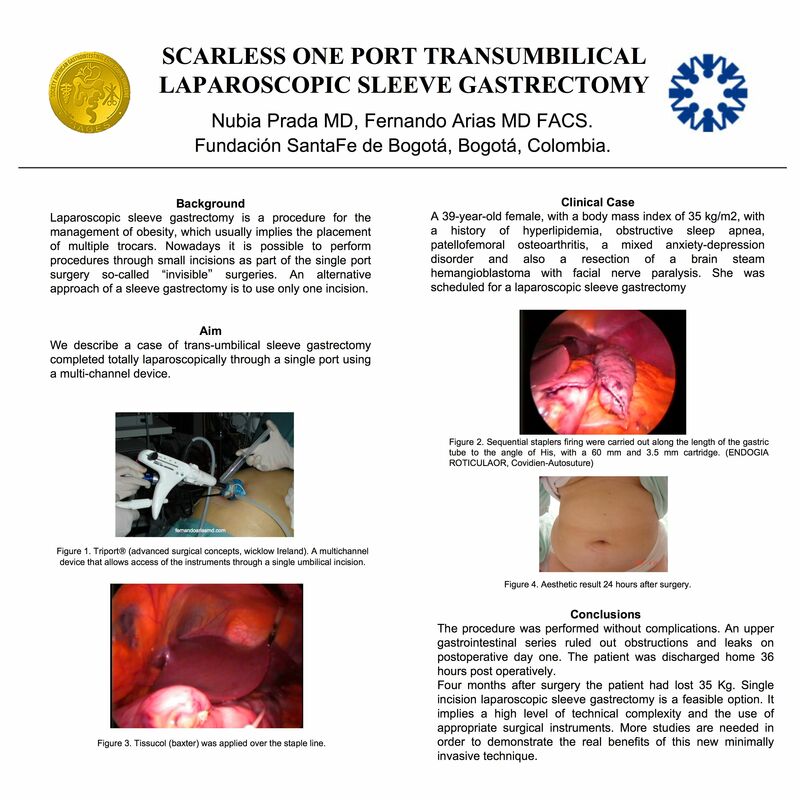 Our objective is to report the feasibility of performing a laparoscopic sleeve gastrectomy through a single incision using a multichannel device.